This heifer is a result of two flushes we were partners in with Bill and Jane Travis. There were only two heifers as a result of these flushes. We got one, the Travis's got the other. We now own her Dam (PRR Sheza Dilly 703T) in her entirety or this heifer would not be for sale. 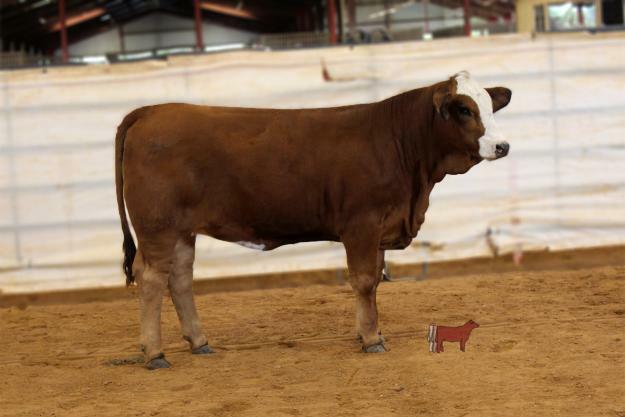 This heifer's Dam was very successful in the show ring. 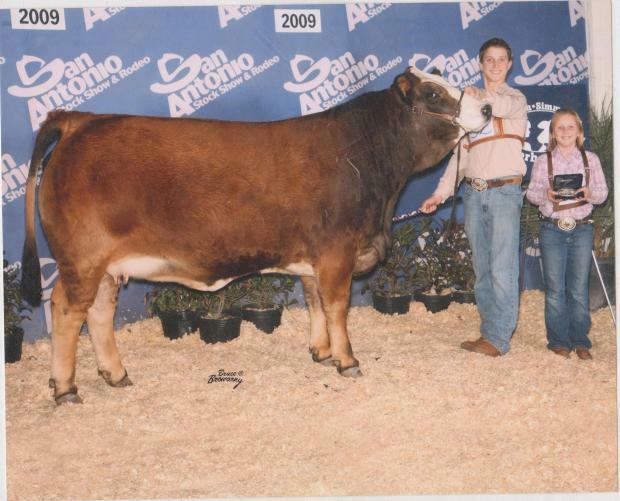 She was the Champion heifer at the State Fair of Texas Junior show, Senior Division Champion in the Superbowl, Champion Cow/Calf at the TJSSA Futurity and the ASA South Central Regional. Don't miss this opportunity to purchase a great heifer. She is open to breed to a bull of your choice. For more information call 972-924-3725. Consigned by Powell Simbrah.